The apartment-house Ciasa Isidor, surrounded by the suggestive view of the Dolomites, enjoys a quiet position not far away from the church square and the ski-tows from Kronplatz. The skiarea is connected with famous ski resorts like Alta Badia, Arabba, Val Gardena from Superski Dolomiti. The wonderful park of Fanes Senes Braies is part of Dolomites UNESCO – World Heritage Site. Our house offers 4 new apartments in typical mountain style, very comfortable, quite and elegant. Therefore come and visit us, enjoy the beautiful sunsets after a white winter’s day and relax by doing different kinds of sport. The house offers everything you might require for your holiday: absolut quiet and panoramic location, outdoor private parking, ski/bike storage with a ski boot dryer, washing machine for shared use, iron and ironing board, free WI-FI. 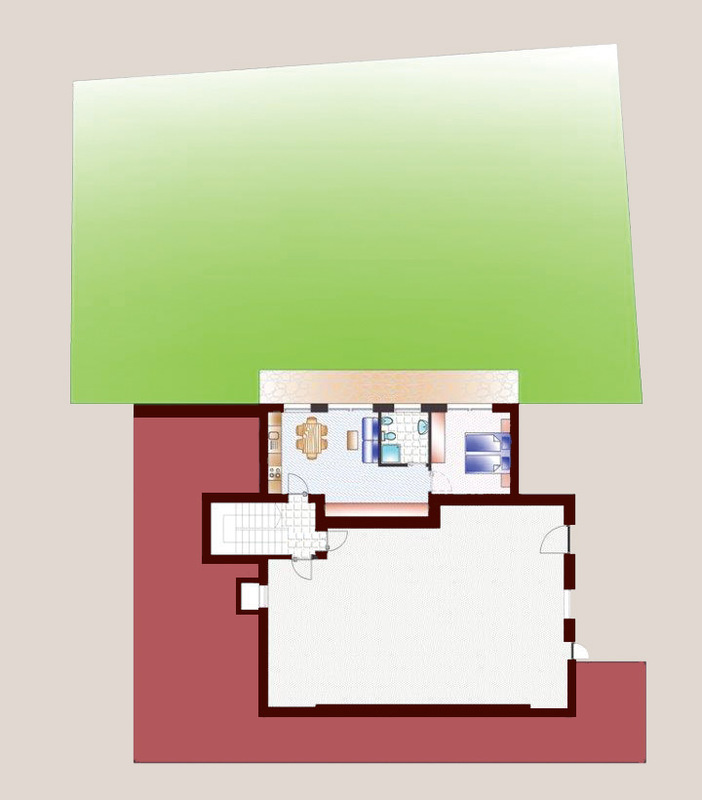 The apartment Fanes is located on the ground floor with direct exit into the garden. Our private meadow is in summer equipped with sun loungers, during the winter it is a nice place for children to play in the snow. The apartment enjoys a very quiet position and wonderful view. This two-room apartment is composed of a double bedroom with possibility for an additional bed, large living room with a double sofa bed, a dining area and a kitchenette equipped with cookers, oven, fridge with freezer, dishwasher, drip coffee-maker, moka, crockery and cutlery, bedlinen and towels In the apartment you will also find a safe and TV SAT, electric roll-up shutters. The bathroom has a window and features such facilities as shower 90 x 90, bidet and hairdryer. 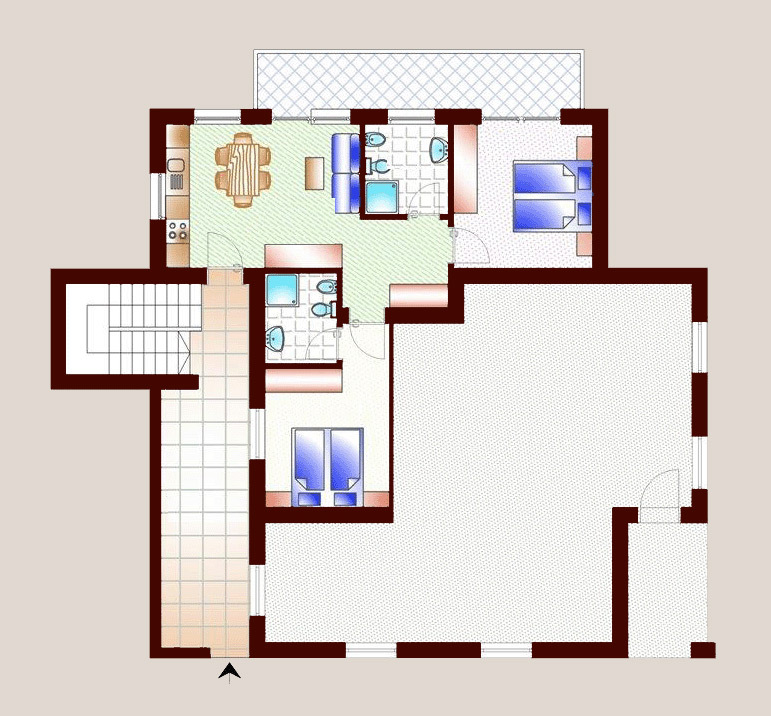 We have 2 apartments Senes located in the first and second floor of our house. The apartment typ Senes is a very large and comfortable 3-rooms apartment, with 2 bedrooms and 2 bathrooms, bright living-room with private balcony. The apartment enjoys a very quiet position and wonderful view. The apartment is composed of 2 double bedrooms, possibility for an additional bed in one of the bedrooms, 2 bathrooms, large living room with a double sofa bed, a dining area and a kitchenette equipped with cookers, oven, fridge with freezer, dishwasher, drip coffee-maker, moka, crockery and cutlery, bedlinen and towels In the apartment you will also find a safe and TV SAT, electric roll-up shutters. The bathrooms have features such facilities as shower 90 x 90, bidet and hairdryer. Vacation rentals check-in is at 4 pm on the day of arrival. Pricelist valid for stays of min. 3 days. Check out is at 9,30 am at the day of departure. Hairdresser, sheets, towels, bath towels and kitchen towels are available. Free WIFI. Delayed arrival and premature departure must be paid in full. In order to book a deposit is required. It will not be refunded should you cancel your booking. Local tax 1,35 Euro/person not included. Smoking is not allowed in all the apartments and public areas. The great offer for the beginning of winter! New, fresh powder snow - skiing fun at greatly reduced prices! 4=3: With a stay of at least 4 days, one day of ski holiday is free! The offer is valid for both hotel stay and either your Kronplatz-Plan de Corones ski pass or Dolomiti Superski. But that's still not all: at partecipating ski rental services, you will receive a price reduction of 20% on the rental of ski equipment and a 15% discount at partecipating skiing schools (minimum three days group ski course or minimum three hours individual ski lessons). The UNESCO has declared the Dolomites a World Natural Heritage site. The Plan de Corones – Kronplatz skiing area connected with Alta Badia and the Sellaronda and also with the skiarea Tre Cime – Drei Zinnen, has been for years a meeting point for those who are fond of skiing because it is provided with several lifts and very long tracks. But the charm of San Vigilio is not limited to snow. In summer, our Fanes-Senes-Braies Natural Park, next to San Vigilio di Marebbe, is a wonderful paradise for all nature lovers. Here every hike becomes a discovery, whatever destination you choose: the alpine lakes of Fanes, the green areas of Senes – Fodara Vedla, the Kronplatz with the MMM Messner Mountain Museum. Almost all itineraries can also be explored by mountain bike or e-bike.